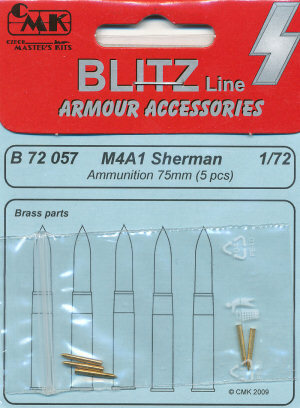 Five complete 75mm cannon shells. Not much else to say, other than they look nice, and measure out only a little bit too long. 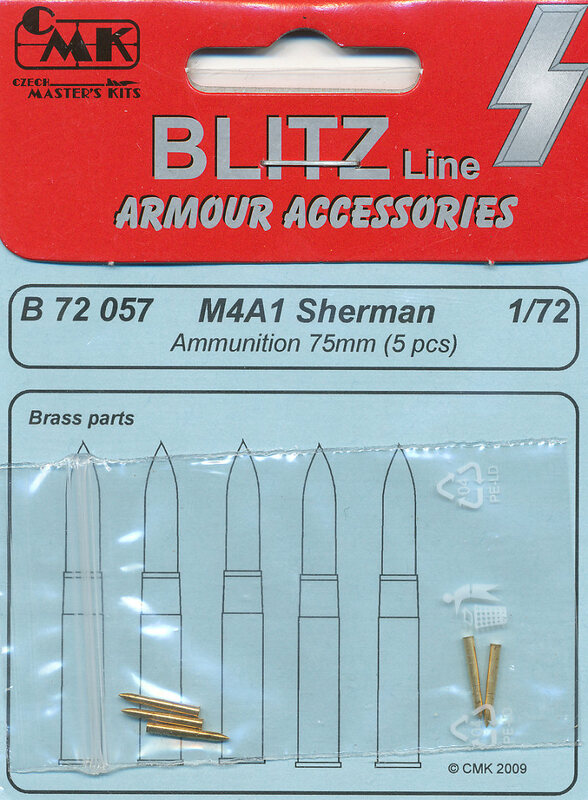 They are appropriate for all 75mm-armed Shermans, not just the M4A1 as the kit title states.